It’s December! And that means it’s time for Pantone to reveal their color of the year for 2016. This time, for the first time, they’ve chosen a blending of Rose Quartz and Serenity to capture the style and design trends of the coming year. Welcome to the Dumb Friend’s League newest addition, the cat adoption pavilion. 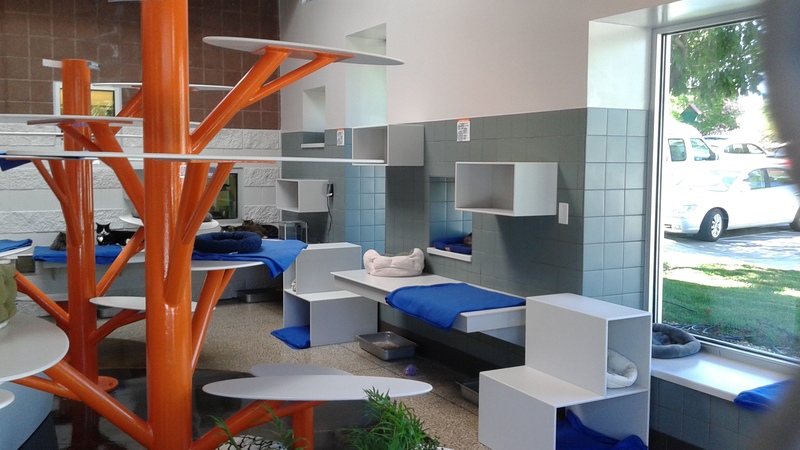 The design of this new adoption center is our latest attempt at creating shelter spaces for cats to help them thrive in a stress-free, enriched environment. The 1,200 square-foot addition to DFL’s Quebec Street shelter features several cat colonies and a large, open cat habitat loaded with enrichment opportunities for the shelter’s adoptable cats, including sunny windows to lie in, cat ‘trees’ for climbing, retractable doors to provide fresh air, and plenty of hiding places. 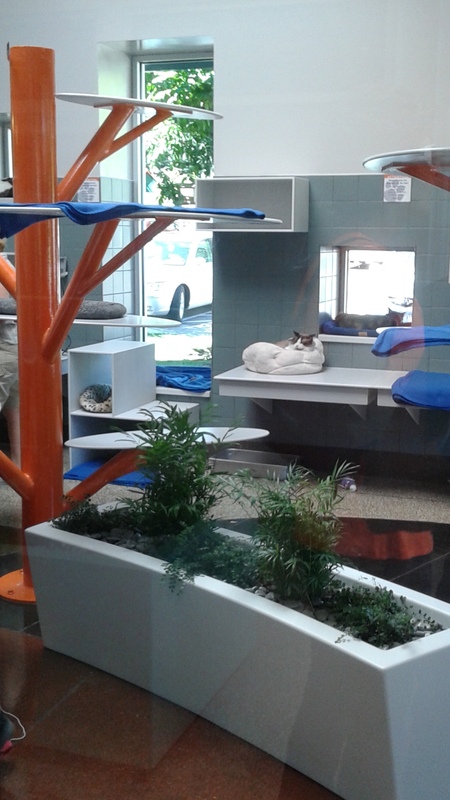 The cat habitat area also provides potential adopters a place to meet and greet the cats in a comfortable space. To see more photos from today’s Grand Opening check out our facebook page. These sweet babies belong to one of three litters of kittens rescued at a recent TNR event in Loudoun County, Virginia. 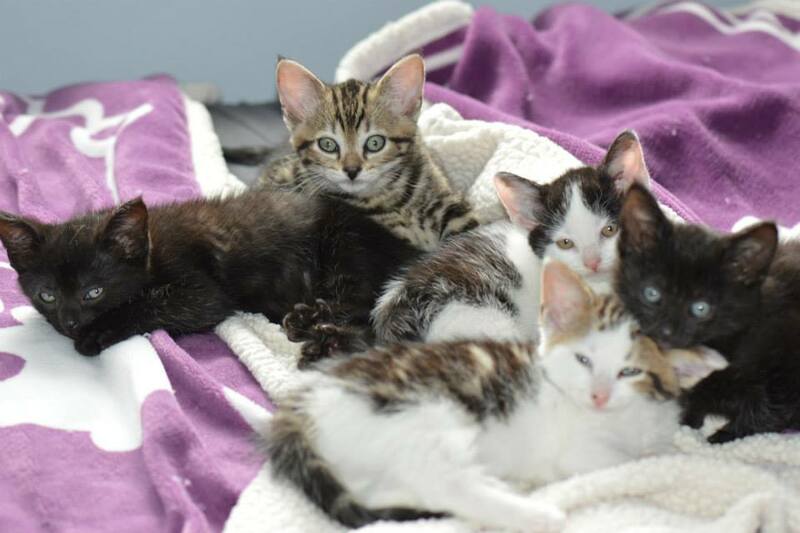 After they were weened, the kittens all went to rescue groups to find them forever homes. Their moms, along with more than 100 other feral cats, were spayed/neutered, vaccinated and returned to their outdoor homes. Read more about this TNR event in Loudoun County and about other TNR efforts across the nation at Alley Cat Allies. It’s that time of year, when baby animals abound. Here in Boulder County the ospreys are hatching and we’ve got a view of the action. Three chicks have been born so far to the family on the camera with one more egg to go. Mom and Dad have been busy feeding their new chicks and keeping their final baby safe and warm until it joins its siblings. Check out the rather addictive goings on at osprey cam. The American Animal Hospital Association (AAHA) has recently created a set of guidelines for accreditation for veterinary internships and mentorships. The new standards will help veterinary practices provide top notch, hands-on training opportunities to new veterinarians. 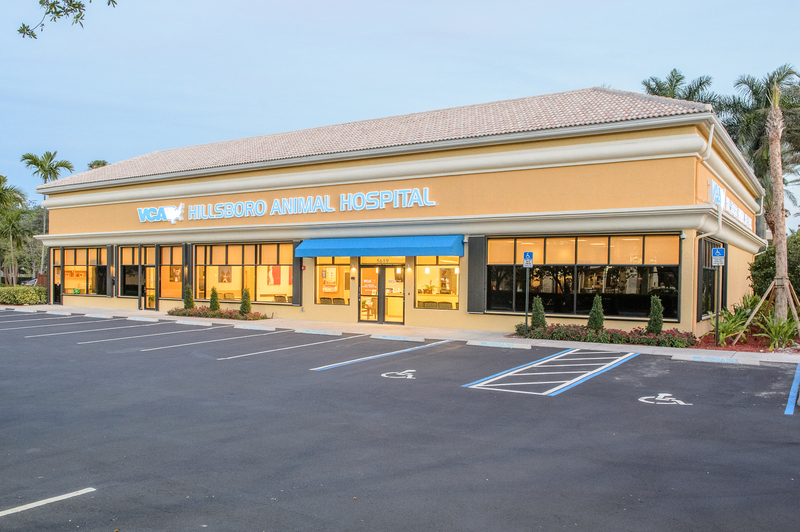 Our former client, Coral Springs Animal Hospital, was one of the first hospitals accredited under AAHA’s new program. The hospital’s founder Dr. Lloyd Meisels is a member of the task force that helped create the standards. He believes that internships should be 60 percent education and 40 percent practice and that the experience should meet or exceed the intern’s expectations. Visit AAHA’s website to read more about the new accreditation standards.